Meghan Markle’s natural birth plan reportedly involves frequent acupuncture sessions, self-hypnosis called hypno-birthing and hiring a doula. Other sources close to the couple shared that the Duchess of Sussex has been learning a technique called hypno-birthing ahead of the couple’s arrival of their first child due sometime this spring. It all comes on the heels of reports in The Sun U.K. about Markle hiring a doula, or birth coach, to help with the baby’s delivery. It has reportedly been centuries since a member of the royal family has used such a coach in the arrival of the newest member of the family. “I’m busy in spring. I could not possibly say,” doula Lauren Mishcon shared when asked about the reports. However, other sources have shared that she’s not been employed by the Duke and Duchess of Sussex. 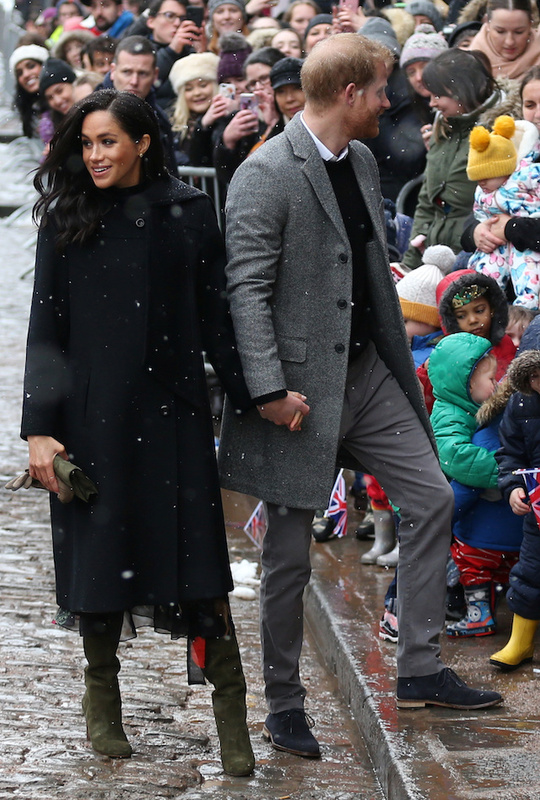 Last week, reports surfaced that on top of getting ready for the birth of their child, Markle and Prince Harry will move out of Kensington Palace in March to Frogmore Cottage ahead of the child’s birth so they can be all situated. The cottage on the grounds of Windsor Castle is reportedly undergoing all types of upgrades to make the place more secure for the royal family.